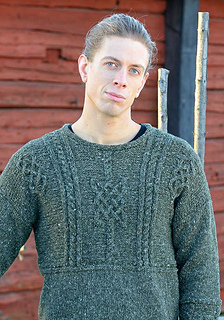 Here is a Viking Knits Sweater for the Viking Guy. 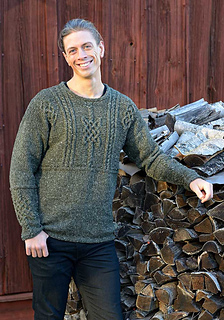 The cabled yoke accentuates the shoulders and, as an unusual feature, the cabling is echoed on the lower part of the sleeve. 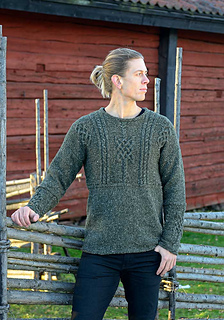 The lower part of the body is just stockinette, and since it is knitted from the yoke down, you can easily adjust the length. And if you prefer working this part in the round to avoid those pesky purls, that is easily done.